It was September of 2017, and Randy Churchill was facing a challenging California market with price points steadily increasing. Facing a market with significantly higher price points than the rest of the United States, his team's challenges were pretty unique, and knew he needed to try something different in order to compete. The rapidly changing market and desire to continue expansion meant he needed a solution and one that could be implemented quickly. Churchill turned to a respected industry partner who recommended CINC: Today one third of his business is generated through CINC and he's consistently generating 300-400 leads per month. The all-in-one CINC solution generated new leads through Churchill's consumer-facing website into his backend CINC CRM, allowing his team to track the follow ups, and monitor lead behavior. His first year with CINC generated close to $14 million in business. 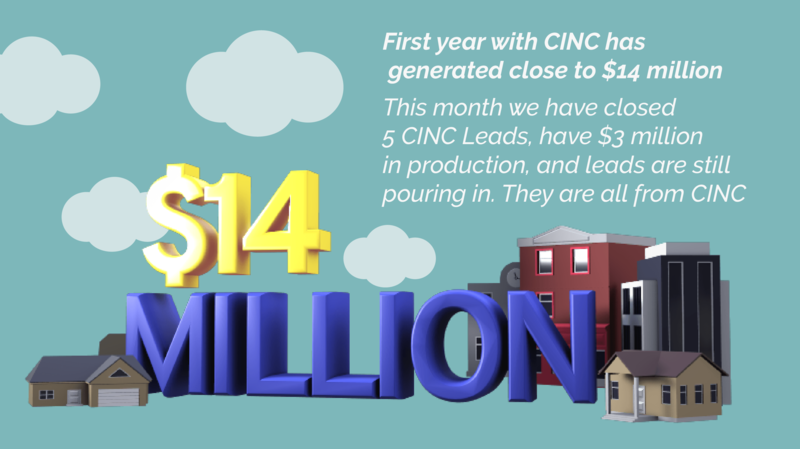 "This month we have closed 5 CINC Leads, have 4 pending leads, and more still pouring in. They are all from CINC," says Randy. "It's a tool we wouldn't be able to live without. I would never start in a new market without CINC being my backbone." He expects his business to soon grow to two thirds of leads being generated by CINC. 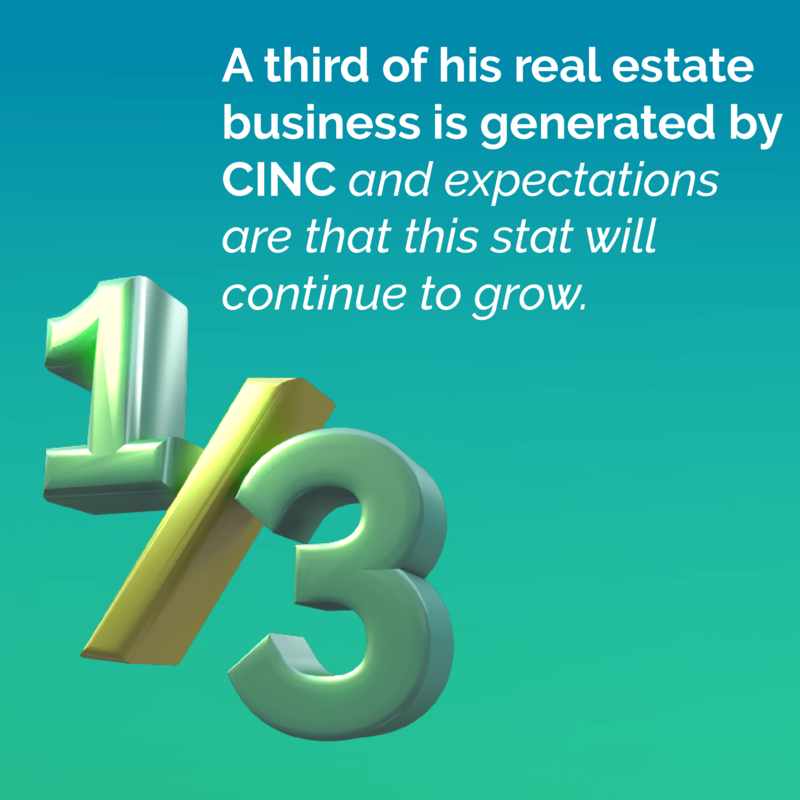 "Letting CINC drive leads keeps you and your team focused on the important tasks of winning over home buyers and sellers in this new and competitive markets," says Churchill. "We identify new markets to expand into and let CINC's Client Marketing team generate leads in those areas on our behalf. When we were told that cost per lead is down during the holiday season we instantly ramped up our spend so that way we can start 2019 with plenty of leads in our pipeline." Churchill recalls the lessons he learned in the early days of his business. “We made mistakes and learned from those mistakes. The biggest one was hiring people who were afraid of the phone,” he stated. Now he has metrics around time spent making calls on the phone. His team is expected to have a total of 160 calls by the end of the week. “You would be amazed at how thankful the clientele is by just receiving my phone call” said Churchill. While he makes sure his team is on the phone, he also makes sure that they focus on the right leads that are ready. Churchill defines the right lead as registered website users that have been engaged on their CINC site for 60 days. The team learned how to use the CINC CRM to study the users’ behavior and make sure to follow up directly with the leads that have shown interest. This month alone, Churchill's team will do $3 million in production off CINC alone and the sky's the limit for his team in 2019 - a true testament to the fact that the right technology coupled with the right practices can truly lead to phenomenal growth. Want to learn more about what's new from CINC in 2019? Check out this webinar featuring the most popular new feature we've ever introduced! Ready to learn more about how CINC can grow your business?